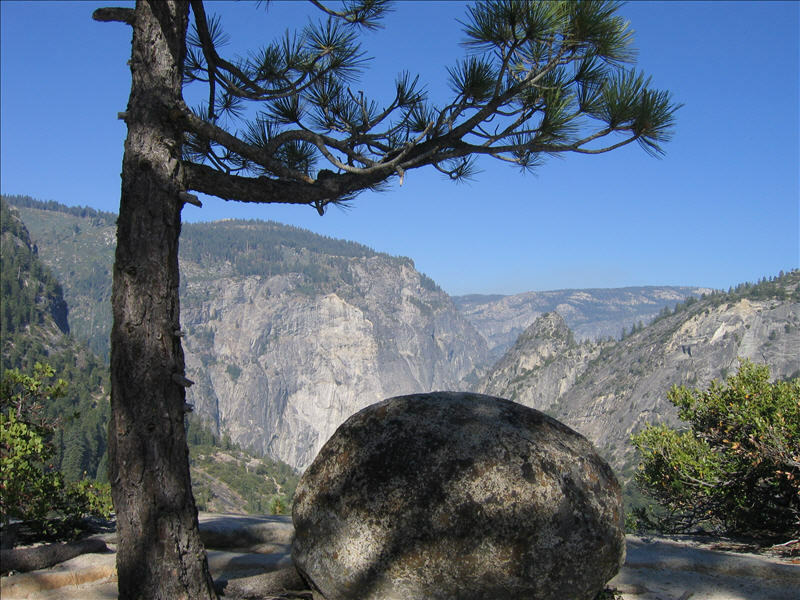 Photos of hiking in Yosemite. 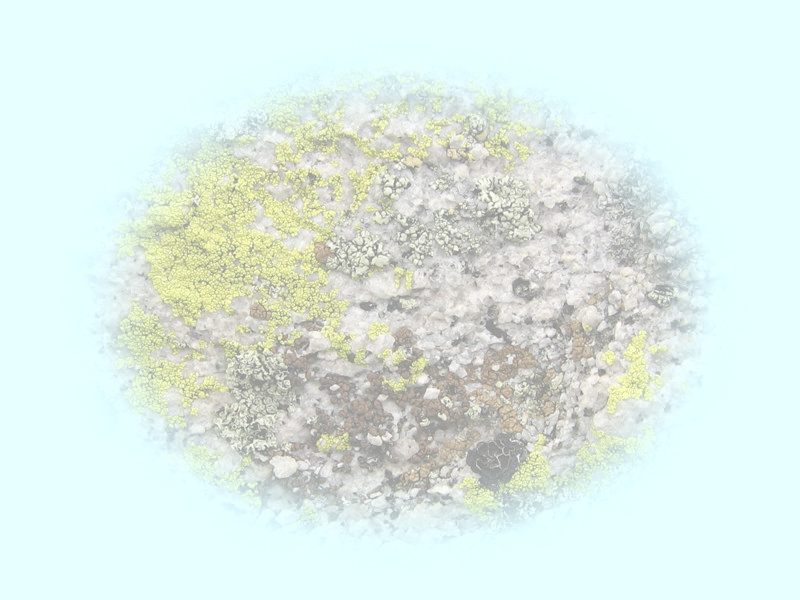 Take a look, click on the small black and white images to see the full size color images. Stuart and I hike for two hours, 7:30-9:30 am to get here. We rest, eat some and enjoy the view. 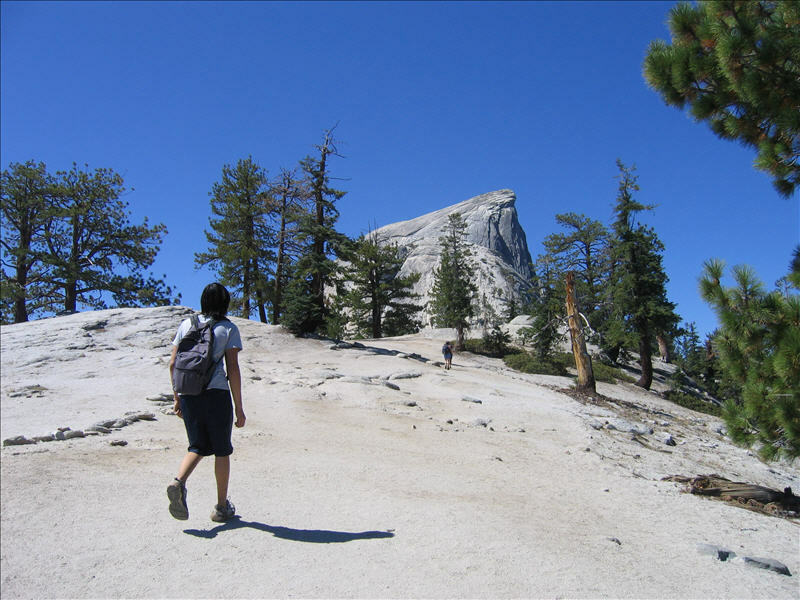 Hiking on another couple of miles the trees thin out and the granite starts. We see the summit from here. 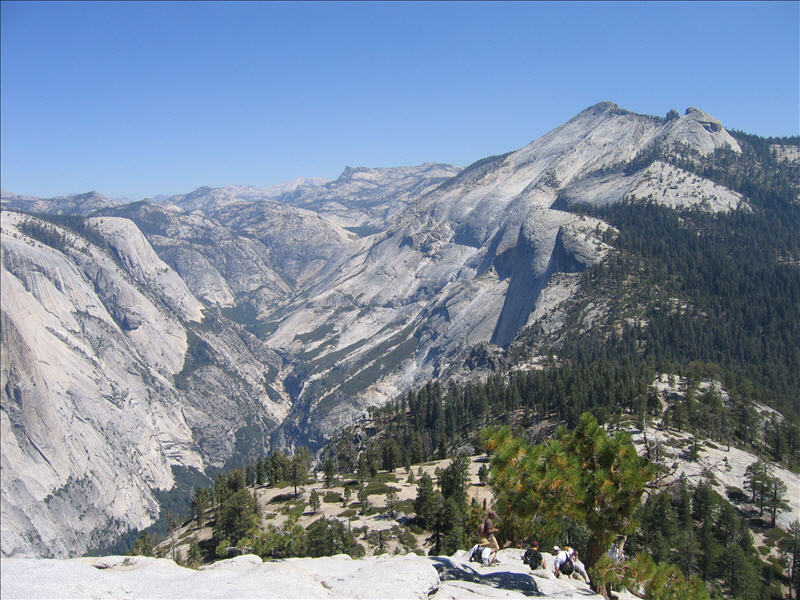 Looking back we can see Cloud's Rest and the ruggedness of Tenaya Canyon. The weather was perfect with sun, nice tempertures and a light breeze. Smoke could be seen coming from the forest to the south. A fire above El Capitan seemed to be out or almost out. 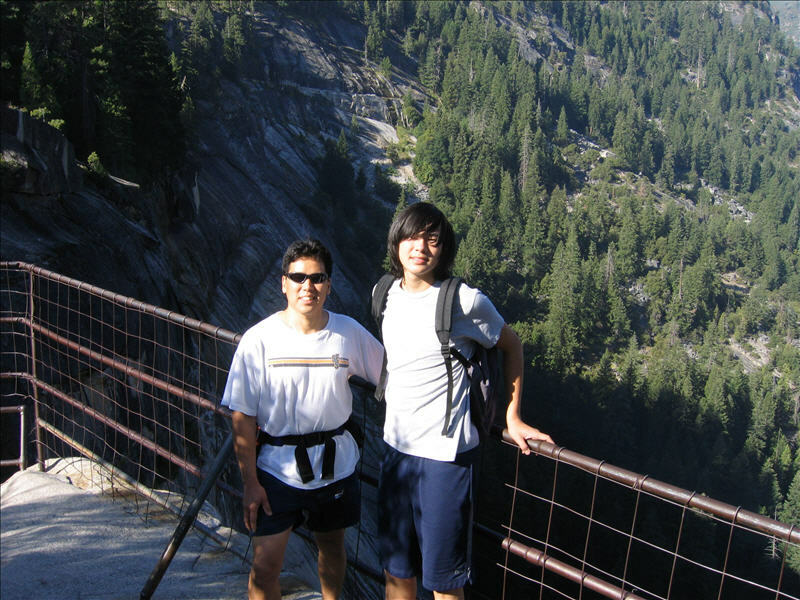 A perfect day for hiking in Yosemite. 12:15 pm. 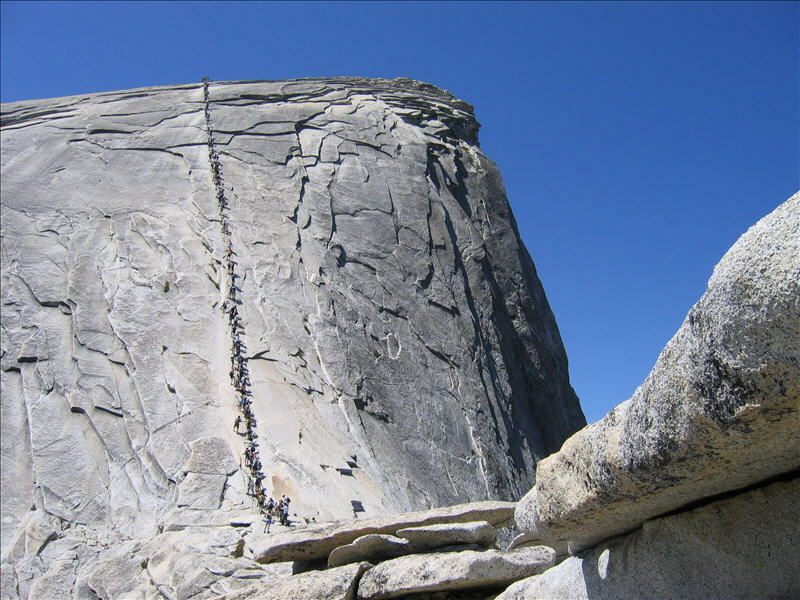 The cables on Half Dome are crowded with people. 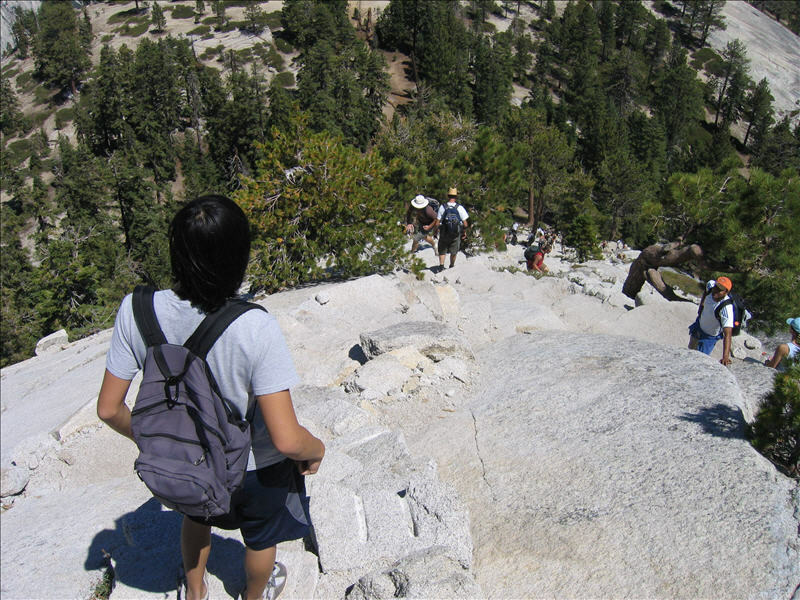 I count almost one hundred hikers, most going up and a few going down. We pause, eat lunch and count five different empty water bottles dropped by people on the cables. The empty bottles take a long time to tumble down the granite and the sound tends to break the quiet conversations of all the people sitting around contemplating the scene. 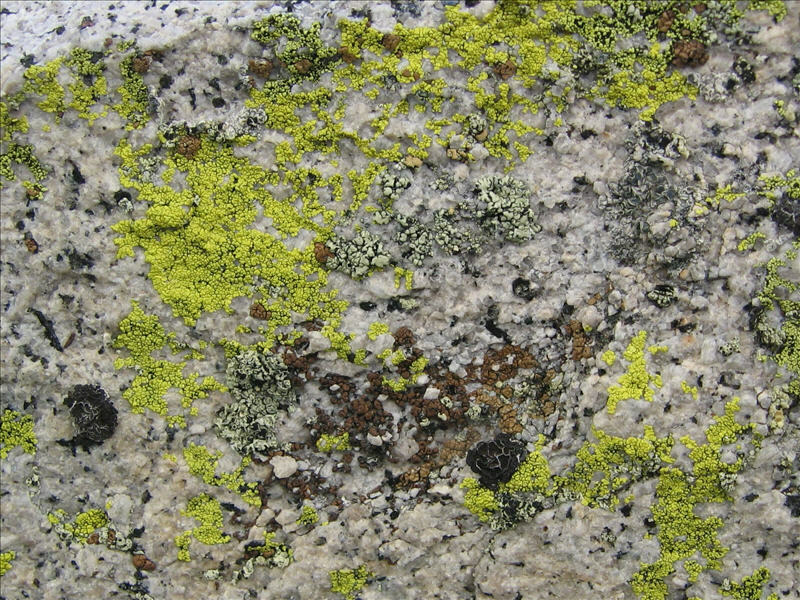 Lichens of various colors show up in this detail photo. The steps as seen from the top of the East shoulder. Again many more people, this is a very popular trail. Everyone suffers here from fatigue, the elevation and the exertion required. 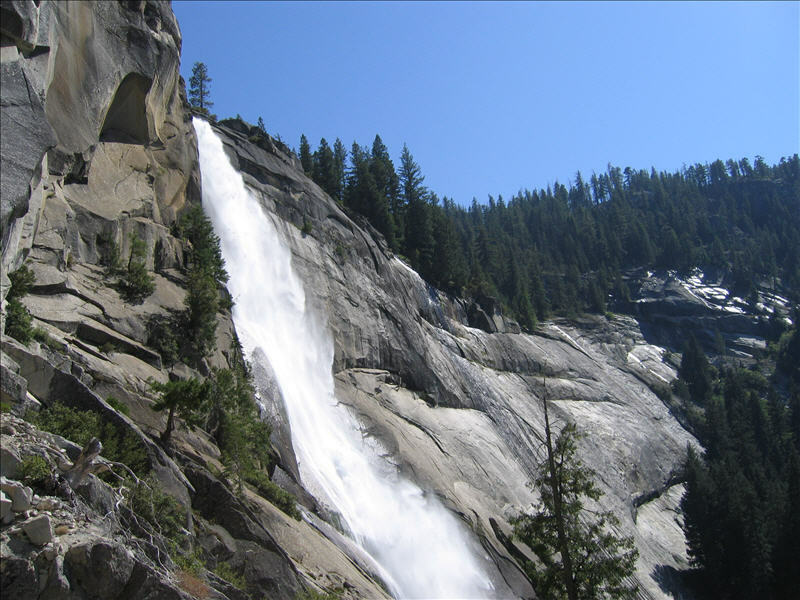 Nevada Falls as seen from the trail. 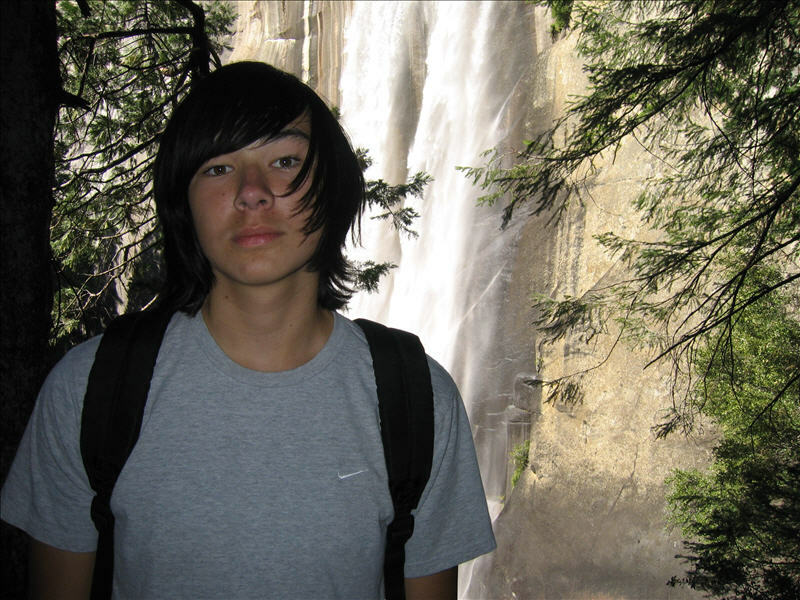 This late in the year the flow slackens but provides enough water to still impress. Stuart suffers all the way down with a stubbed big toe. He demands Taco Bell for dinner. 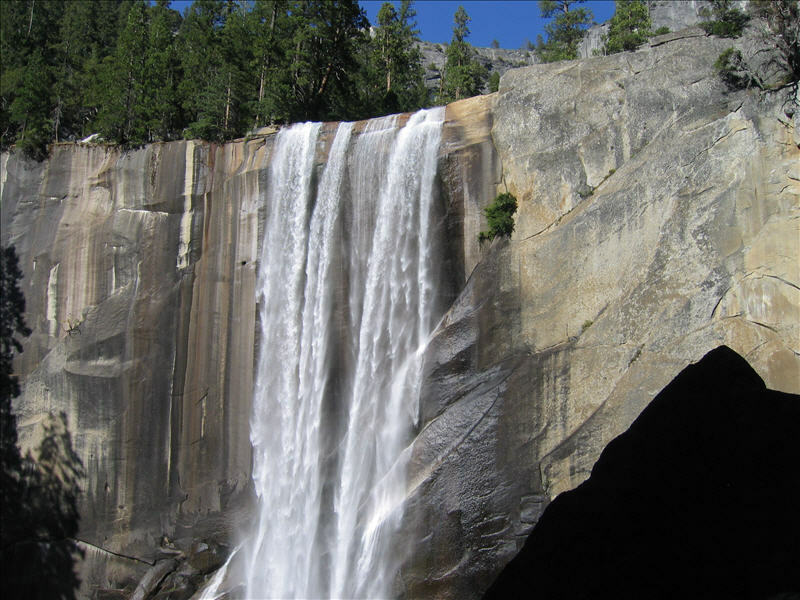 Vernal's flow is light, there is no mist except at the very base. 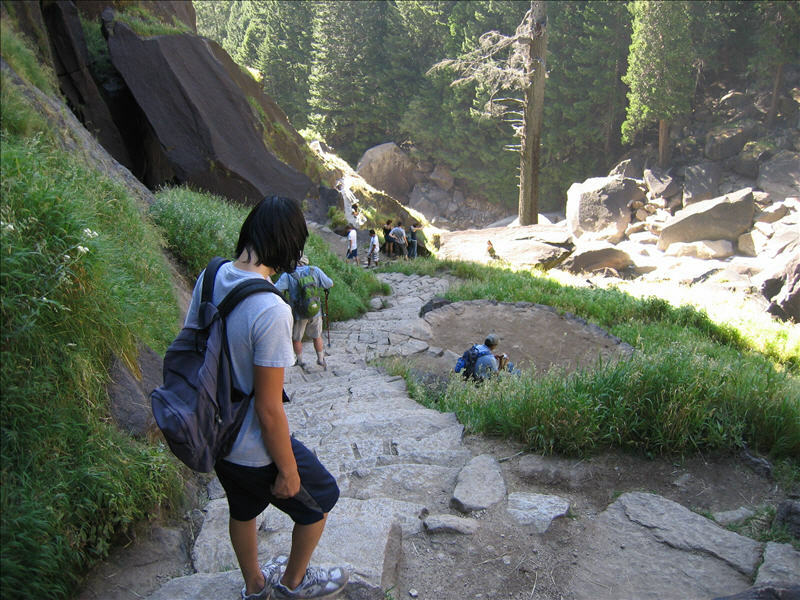 The view looking down a section of the Mist Trail. This area is very wet in the spring. Sometime around 5:00 we reach Curry Village and we find Taylor and Lisa. 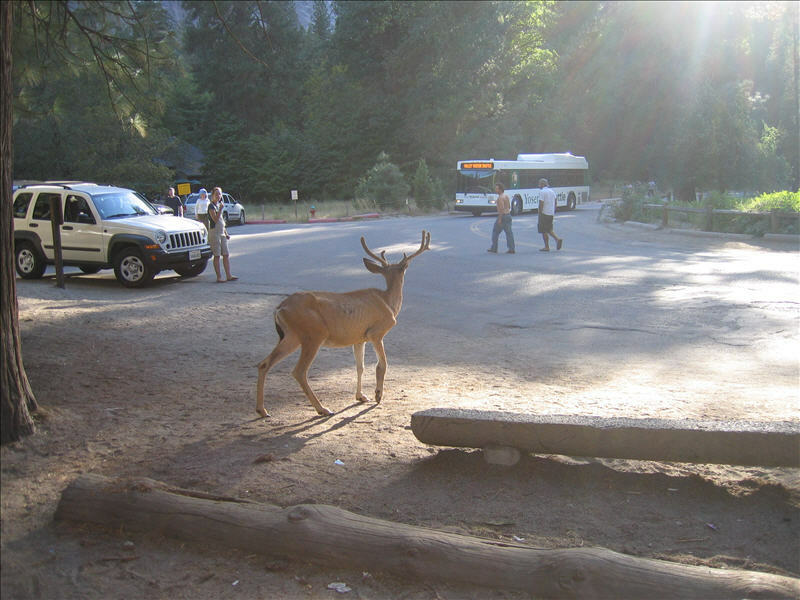 As we ready to leave, we spot this deer and snap a few photos. As it limps by very close to us, we see it's right front leg is injured and swollen. The animal appears very thin. It looks like I feel, tired and worn out. On the way home we are refueled by Taco Bell and it tasted pretty good. It was a long day and we were all very hungry.